Mica Specialties was started to provide high-end, highly-performing products to consumers, businesses and the U.S. Government back in 1992. We are still here today working smart for our clients. We enjoy the process of creating, designing, and building unique products, and we understand the needs of a business to succeed. We are small business specialists. I have maintained a quality, professional relationship with the world's finest & largest technology companies, such as Microsoft, Google, Facebook, Yahoo, Intel, Logitech, and many, many more. I am dedicated to my clients, while adhering to the best practices of the products and services employed. I have over 30 years of marketing experience. 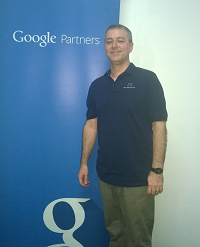 I was named the 2015 Top 3 Most Inspirational Member with the North America Google Partner Community and a 2016, 2017, and 2018 Google Top Contributor for AdWords and Google Partners. You can view my personal profile and AdWords certifications by visiting this link. And you can view my Google Top Contributors profile by visiting this link. I am a very dedicated technologist. I have over 25 years experience in the computer industry and I enjoy a wide range of subjects. Some areas of study I stay highly-involved in are: website design, computer design, software programming, cyber security, web server technologies, mobile web design, HTML, CSS, PHP and more. While my skills are wide ranging, I have a passion for Windows Computers, Web Development, Search Engine Marketing, Search Engine Optimization, Local SEO, Graphic Design, Brand Building, Cyber Security, and IT services. I work hard for my clients and believe hard work is good for the soul. I love challenges, and the pursuit of perfection. I drive my team to think ahead, engage the situation and master it. Simply put, I love technology and marketing! Please visit our Contact Us page for helpful links to discover us around the web or visit our About Us page for more about Mica Specialties. You can also learn more about how I spend my free time by visiting our Community Care page. Please enjoy your visit and let me know if I can be of further help.